Across the e-commerce landscape, the competitive space is getting smaller. With the big players like Amazon, Flipkart and others stamping their ground, the little guys have a tough time getting their sales up. However, it’s not just a David vs Goliath battle. With the ever-competitive market, it’s every man (store or Amazon seller, in our case) for himself. To stand out and get the piece of that sweet e-commerce pie, e-sellers needs to provide a deeper value for their customers throughout the entire shopping experience. But how? The answer is having a smooth and efficient e-commerce funnel. In particular, this holds true for online sellers, merchants and affiliates who place their survival on transforming prospective visitors from casual onlookers to valuable, ideally repeat, customers. The concept of e-commerce funnel is easily understandable and applicable, but very few go beyond the front line and delve deeper into details. This is where sales are generated and where a large chunk of revenue depends on it. With this post, we’ll explain how online entrepreneurs can step up their game and pump up their sales. The funnel starts with visitors who are not in the “buy mode” but are rather searching around for options. They are the result of a qualified traffic and research for relevant keywords (Shopify has a nice tutorial on that subject). After the initial googling, these visitors land on your resource page. This can be anything. Typically, it’s an article or a blog post, but can also be an infographic, an e-book, a tutorial, guide and so on. Basically, it’s anything that gives value to your potential customers. You may want to track your performance to see how well it’s working. For that, you need to look at a few things like traffic, bounce rate, pages per session and average time per session. Because content is at the center of this funnel, you want your visitors to stay engaged so you try to make them subscribe to it by utilizing a pop-up. Whether it’s a newsletter, update, research, additional free resource or whatever the form is, it’s a necessary action to get them to take the next step. That step is to keep them engaged and feed them more content to keep the flow going. This will breed an interest towards your other products as your target audience slowly transforms to potential buyers. How much time they take browsing around and how many sessions that takes are the parameters that show if these customers are for real. If they are, they’ll make a purchase and, with quality content in place, stay engaged in the future. There is perhaps no better and more direct way to increase both traffic and exposure for a business, as well as generate leads and sales and thus create long-term customers, than social media. People spend ridiculous amounts of time on social networks and Facebook is the undisputed king of them all. That means tons of potential customers just an ad away. There are a few things here to look out for. First of all, CTR will be the key indicator if you are getting through to your target audience and the conversion rate from sending traffic to your product page will tell you if your investment is paying off. However, since cart abandonment rates are generally high, there’s more work to be done. So, you turn to remarketing. The aim is to get those dropouts who didn’t complete the order. For that reason, each of your ads should lead to a product specific, tailor made landing page that resonates the ad’s message. Anything outside that message will result in a high bounce rate and, ultimately, wasted opportunity. Remember the goal here - you want your visitor to complete the required action (view the product and add it to cart). If all goes well, your job is done. Keep an eye on your CTR (it’s usually higher for retargeted ads) and make sure that both the ad and the new corresponding landing page (the one with the “hard sell” promotion) present a strong incentive for the retargeted audience to come back and finish the job. As you can see, content remarketing is a combination of the previous two funnels that switches things up a bit in the acquisition stage. You first want to identify your best content (that which received substantial amounts of traffic and/or social media engagement) and promote it. This time, you are targeting new and similar readership to build brand awareness so you can employ Facebook Ads once more. This is closely followed by showing your product in action and highlighting its benefits, either through user generated content, case study, or something else. Once again, tailored-made landing pages are in order to make the best of it, possibly embellished with a couple of reviews or testimonials from satisfied users. In the case that’s not enough for your prospective buyers, you turn to the tried-and-true strategy implemented in the paid marketing (Facebook Ads, in our case) funnel - Facebook remarketing and hard-sell promotion to visitors who interacted with your advertisements at any stage. 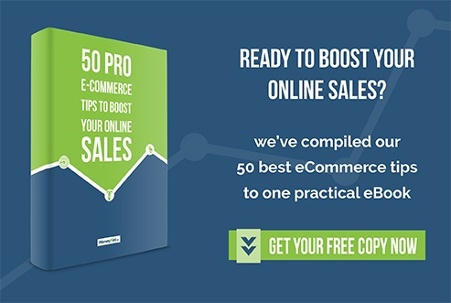 You’ll need a good, incentivizing copy and an equally strong offer to make the final step - purchase. An e-commerce funnel is a mechanism that needs fine-tuning to reach optimum levels of efficiency. It is the difference between how well an online store implements its strategy and the success it reaps from it. 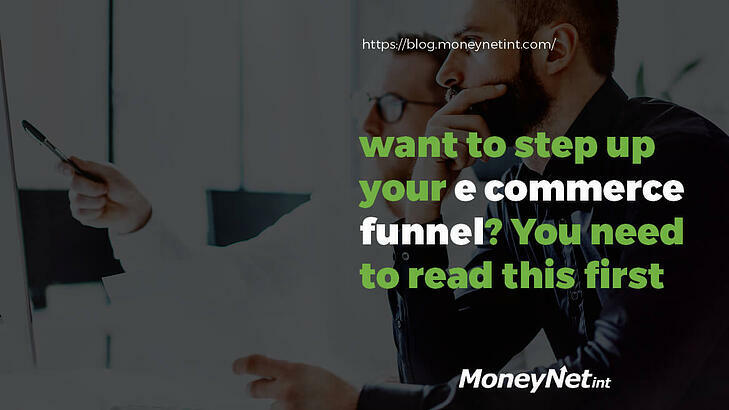 Whether it’s an Amazon business or a stand-alone operation, e-sellers, merchants, and affiliates should do everything in their power to leverage the e-commerce funnels in order to turn cold traffic into customers. Hopefully, this post showed where small, but crucial improvements can be made, as well as some new tactics to implement. That way, your funnel will keep the business healthy and profitable in the long run.